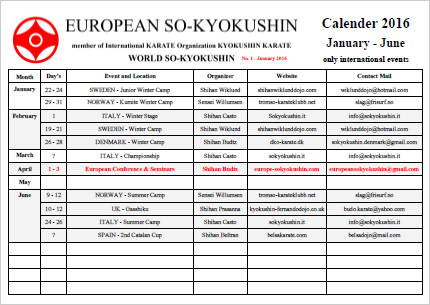 Hereby the first version of the 2016 European overview Calendar. Please report back if there are any mistakes. Deadline for sending information for the next version 29. of February 2016.